Jeff The icon for CUNY appears as always in the setup. But it fails to display on the shortcuts/favorites page (both on the remote and on the app). It had been fine until now. Deleting and reinstalling the favorite channel didn't help. Andy Can you please look into this? Bill Kaczmarek Have you tried a brain reboot? Hey Jeff! Thanks for tagging me in this. Regarding to the not displayed channel icon - I checked on our end and this seems to be a software issue. I will report to the dev team asap. Jeff Here's a hopeful update. I ran the latest upgrade. 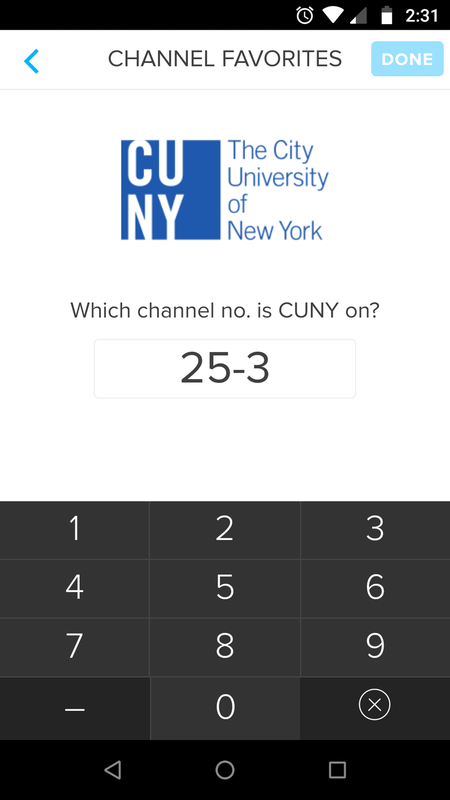 For now the big three are all working on the old Brain: the LIFX, the Chromecast play/pause, and the icon for the TV favorite (CUNY). I'll let you know if anything stops working. But till then, I'll keep testing without swapping hardware. Bill Kaczmarek Thanks for the update! Bill Kaczmarek When you say flicked the switch, you mean an actual light switch or? Bill Kaczmarek Have you tried adding the LIFX to the replacement NEEO Brain I shipped you? Jeff No. Visitors till Tuesday, so not sure if I'll get a chance before then. Fwiw, since it always works fine for a while after a reboot, I wonder if it is a software issue. But I'll load LIFX solo on the new one and let you know how long it works. Jeff I tried the new Brain with LIFX. Bill Kaczmarek So its not working on the replacement brain, but it is working on the original brain, right? Jeff Nope. See my post above from yesterday "Day 2". The remote twice froze and rebooted itself...and failed to control LIFX on the old Brain. Since then the old Brain fails to control LIFX. 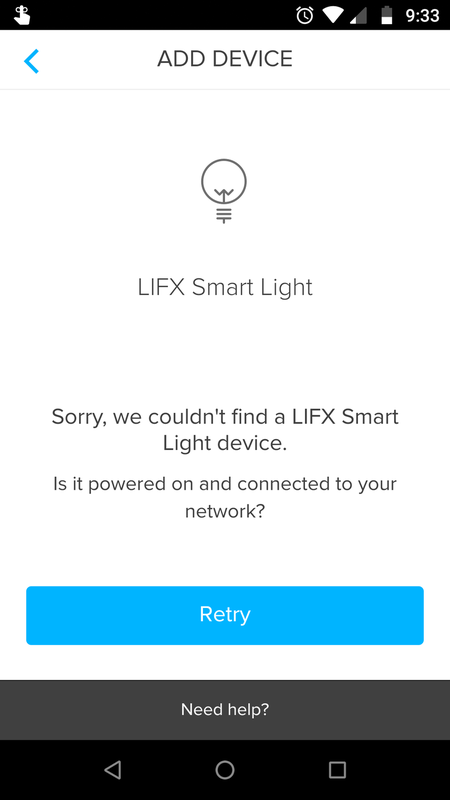 What still works is the LIFX app. Dennis Engel Thanks for reporting. What exact firmware version are you on? Raphael The Firmware was 0.50.6. After updating yesterday to the current firmware 0.51.13, my tv device doesn't show come up on the remote. The remote jumpes to the HomeScreen if i tap on the TV icon. 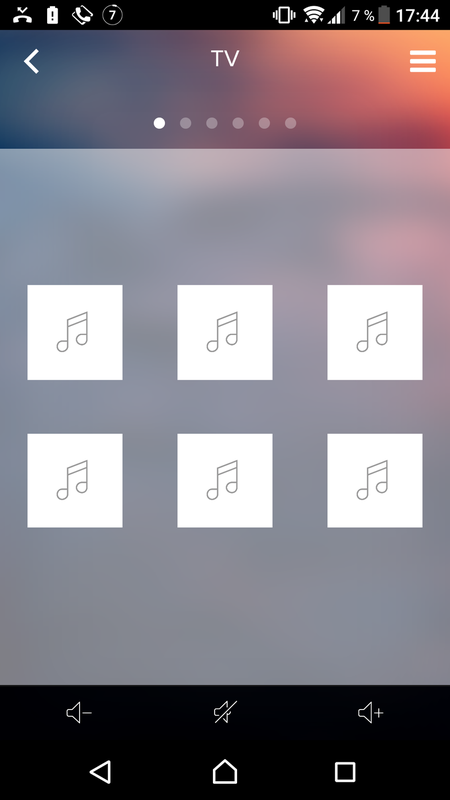 On the App the favorite icons got all music icons. After that i do a factory reset, configured my devices and all was fine again. Dennis Engel Thanks for the update and just want to follow up to make sure all is well. Same problem here, two of my favorites icons disappeared and are now showing as a music icon like in the above post. Tried deleting and reading, bit that did not help. Chose an icon from a different channel and that works fine (for now) but looks stupid. Robin S normaly a brain restart helps in this behavior.. disconnect Power, wait for 10 seconds and replug the power cable. after the brain is restarted all icons should show up again.